Kirwan State High School is one of the largest secondary schools in the state. Until the John Livingston Building was complete, the campus had seen little new development since the late 1970s. 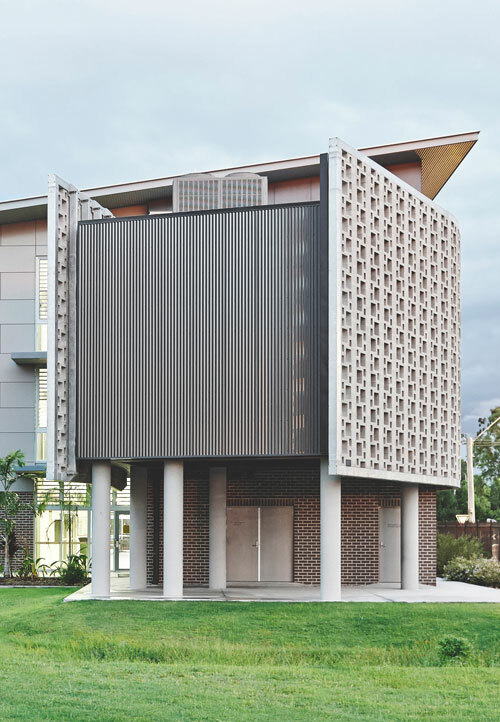 This building projects a strong identity, reflecting the school’s achievements and its pride. A strong street presence was a deliberate strategy and the street facing elevations also provide a protective edge fronting busy Thuringowa Road and Hudson Street. By contrast, the entry and southern elevations invite occupation and connection with the established single-level campus. Here the scale is broken down and the edges softened with built-in seating, covered walkways and open green space. The 3-storey building provides 20 GLAs and support space for 30 teachers. In response to North Queensland’s heat and rain, circulation via external verandahs was avoided. Instead, internal circulation spaces are generously scaled, with full height glazing for views out and ventilation. The air-conditioning plant at the south-eastern end of the building was a late project requirement. A sculptural and functional solution was created. The mechanical plant is flanked by a curved screen of blockwork and a wall of Collarbone metallic steel. The building has been named in honour of its great advocate, the school’s widely admired late principal, John Livingston. Immediately following this commission, DR was invited to work with the school and DoE to develop a master plan. 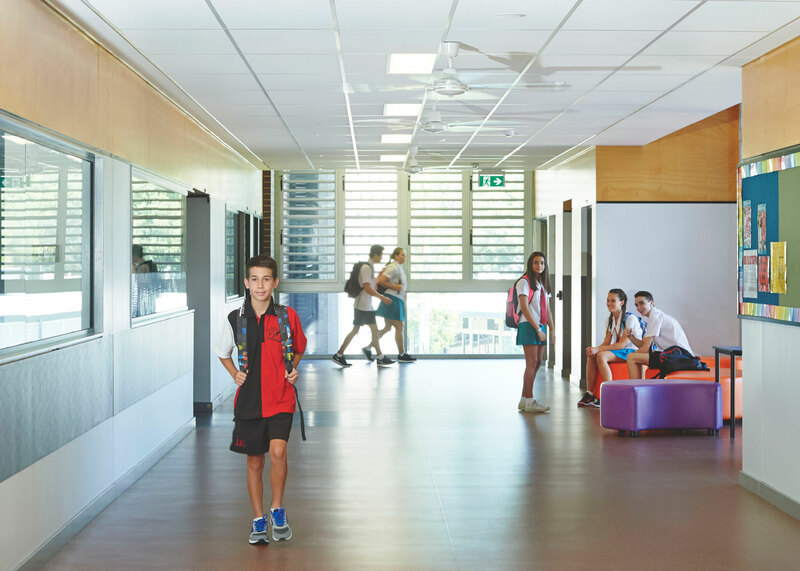 The vision was to adopt a more urban built fabric to deal with student and programme growth and to make more strategic use of the school’s site. We used the enquiry by design (Ebd) process to develop the plan. 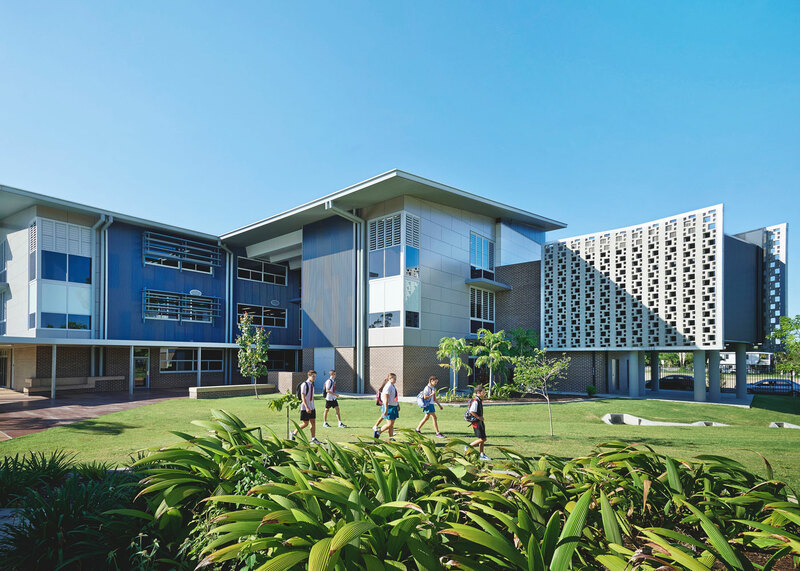 The EbD approach has been used for successful master planning projects in other regional cities, including Cairns, Mackay, Bundaberg, the Sunshine Coast and Rockhampton, as well as in Brisbane.